“Soup dumplings” or Xiao Long Bao are small chinese pockets of deliciousness for your mouth. 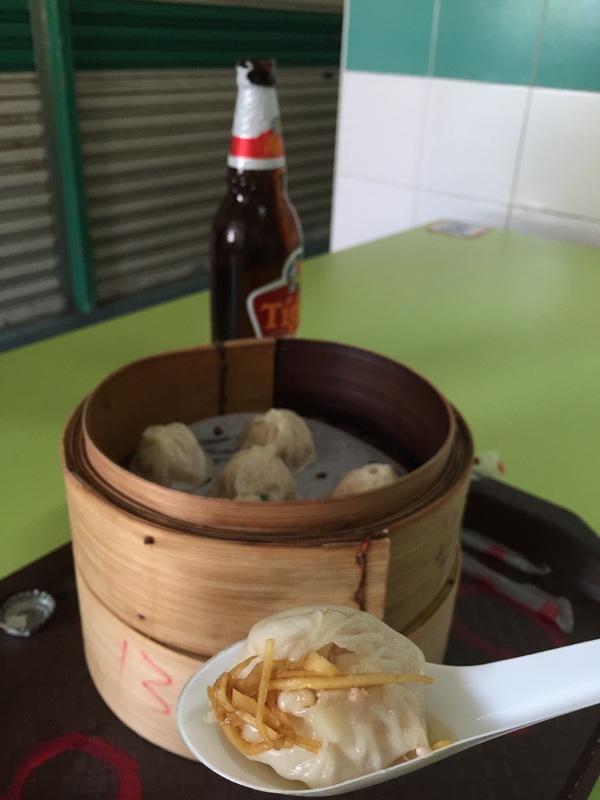 With a small pork meatball, wrapped in a dumpling shell with a broth within. Best eaten hot and recently steamed from a hacker stall on a hot afternoon with a cold beer. With the appropriate side of vinegar and fresh ginger. Beware to not be too anxious or the soup within will scald your tongue. Although they are called dumplings they are actually buns. The literal meaning of their name is “little basket buns”. The dish comes from Nanxiang, a suburb in Shanghai. This is a dish which can be pre-made and thus be a popular dish for a hawker centre. How do they keep the soup without it altering the bun? Well the meatball is combined with a gelatin aspic which melts when steamed. Xiao Long Bao are a great snack. And snacks are most important. que rico!! Pero lo mejor sería disfrutarlo contigo! !